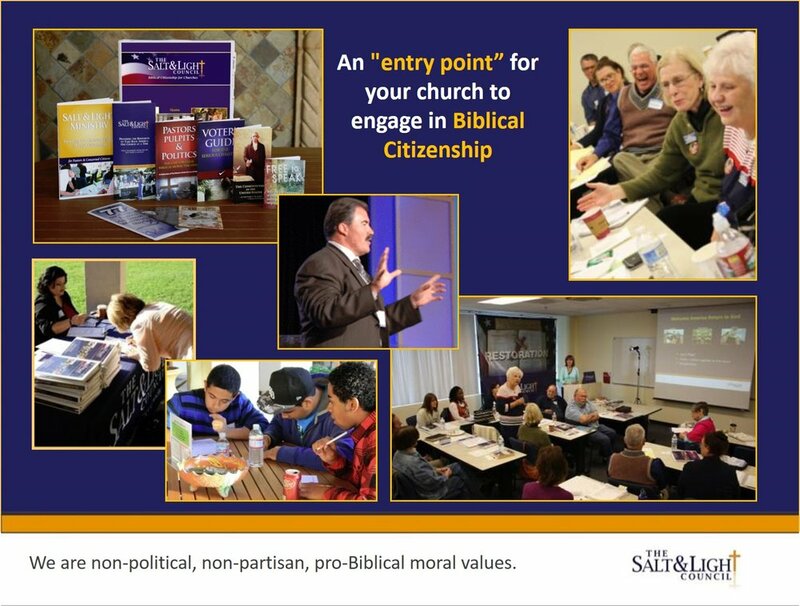 We train and equip Christians to preserve our Christian culture through Biblical Citizenship. We do this by providing a complete turn-key ministry with cutting edge training, education and ongoing support. We give you the seeds of information that equip you to plant and grow this vital ministry in your own church in your own way. We are here to assist you in all aspects of this process. History proves that the Church can and should, be a powerful voice for good. 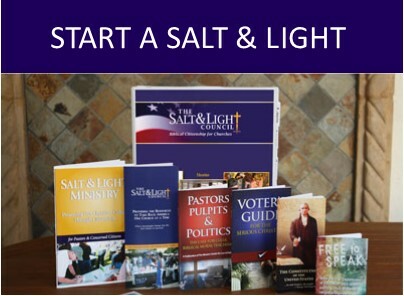 Thank you for registering online to Start a Salt & Light Ministry. We will be contacting you shortly to discuss next steps. Have you been looking for a way to impact the culture in America for Christ? 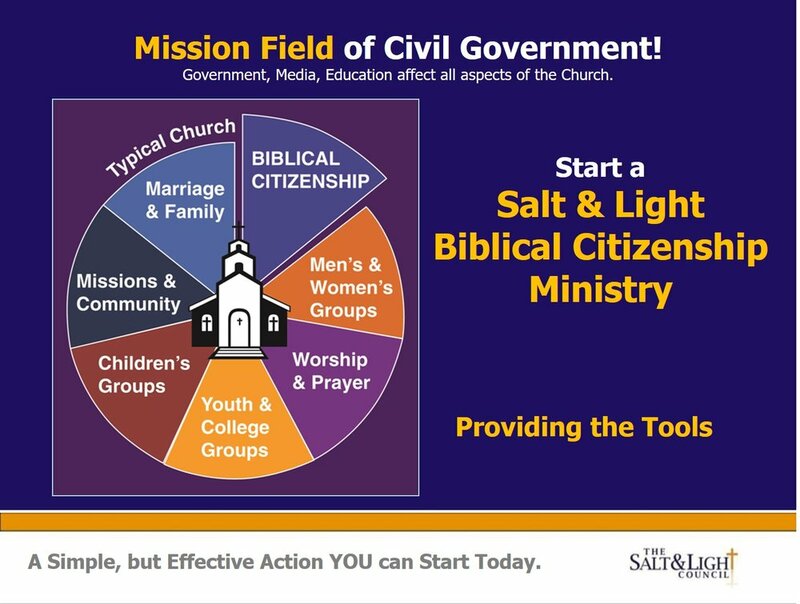 Consider becoming the Affiliate Leader of a Salt & Light Biblical Citizenship Ministry. We provide the tools, resources and continued support. With the permission of your pastor or group leader, you can get started today by taking our excellent training. We hope to hear from you soon!